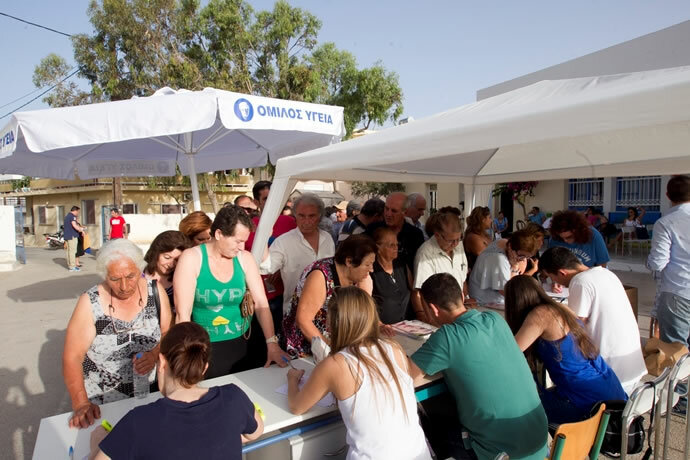 HYGEIA Group, supported by Marfin Foundation, offered free-of-charge medical tests to the people of Karpathos at June 27 & 28, 2014. 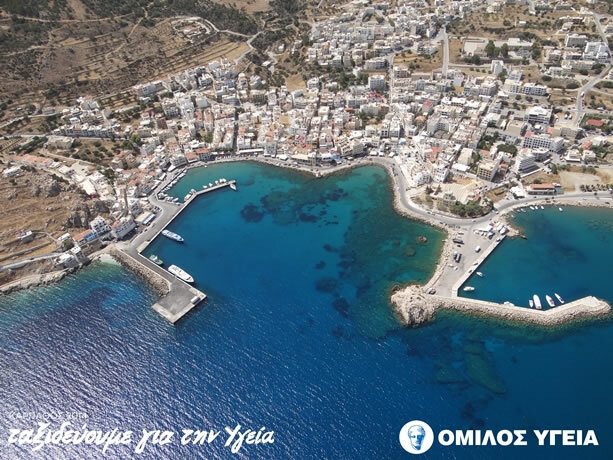 This is the third action of the "Traveling for Health" program, which forms part of HYGEIA Group's Corporate Social Responsibility initiatives. 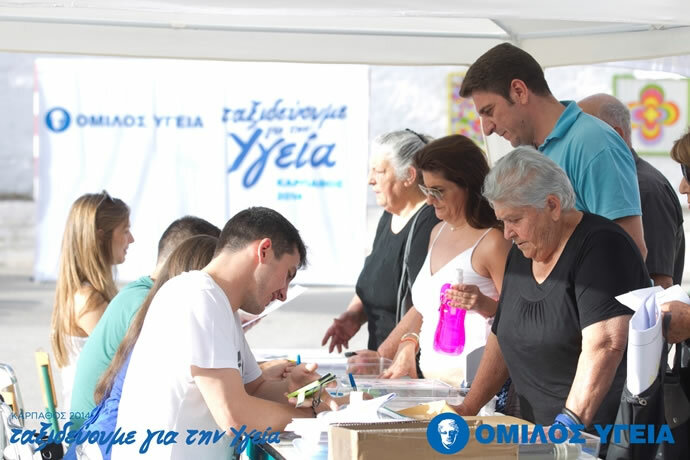 A team of 80 HYGEIA Group volunteers travelled to Karpathos and performed 3500 free-of-charge medical and diagnostic tests on approximately 1100 residents of the island. 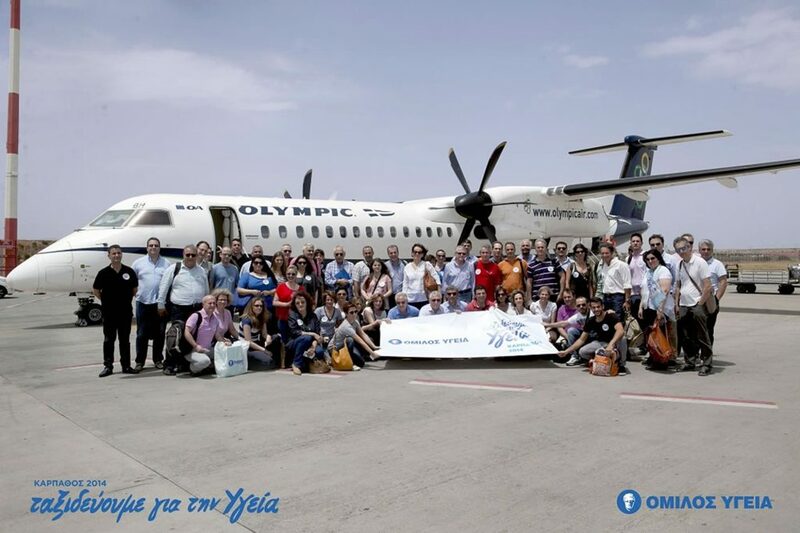 The team was made up of medical, nursing, technical and administrative staff. 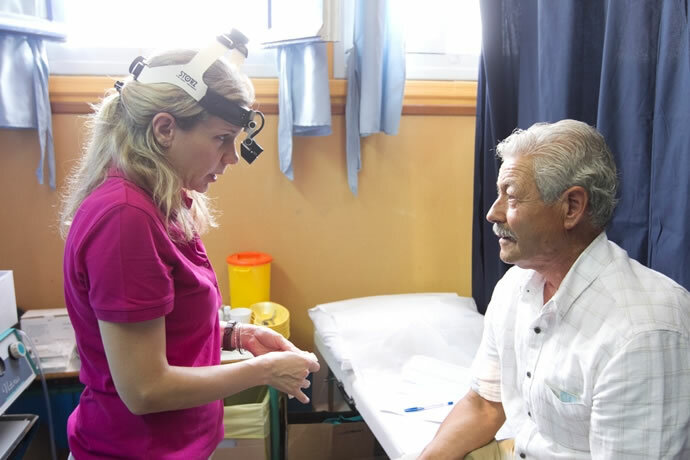 The medical team included 38 physicians with 13 different specialties, and specifically 6 general physicians, 5 cardiologists, 3 surgeons, 2 ophthalmologists, 2 pediatricians, 1 dermatologist, 1 vascular surgeon, 4 gynecologists, 4 orthopedic specialists, 2 ENT physicians, 2 radiologists, 1 anesthesiologist, 3 urologists and 2 pulmonary physicians. 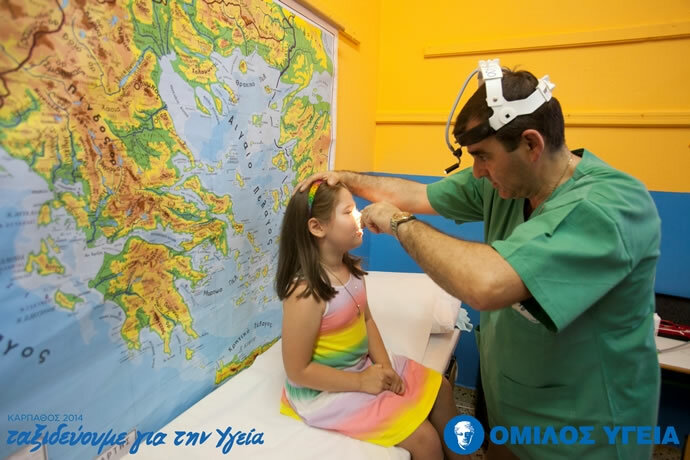 The tests were performed at the 1st Primary School of Pigadia, Karpathos, and the Olympos Medical Center, which had been set up accordingly with equipment that had be transferred by HYGEIA vehicles. 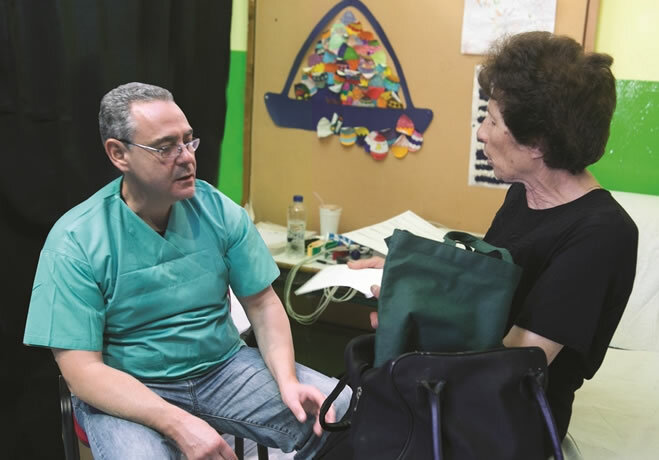 The diagnostic tests included 300 blood tests, 100 Pap tests, 500 body & vascular U/S, 300 cardiograms and 250 heart pulsed-wave Doppler, while 30 minor surgeries were also performed. 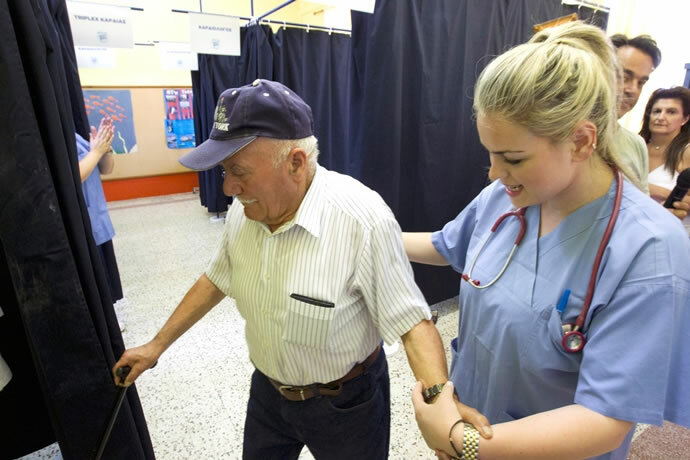 In addition, 5 medical emergencies were also treated. 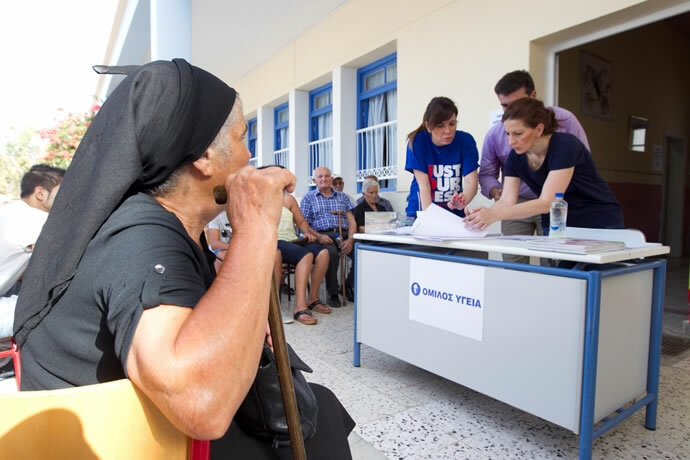 HYGEIA Group further donated an oxygen concentrator, two computers and two printers to the Karpathos Medical Center.